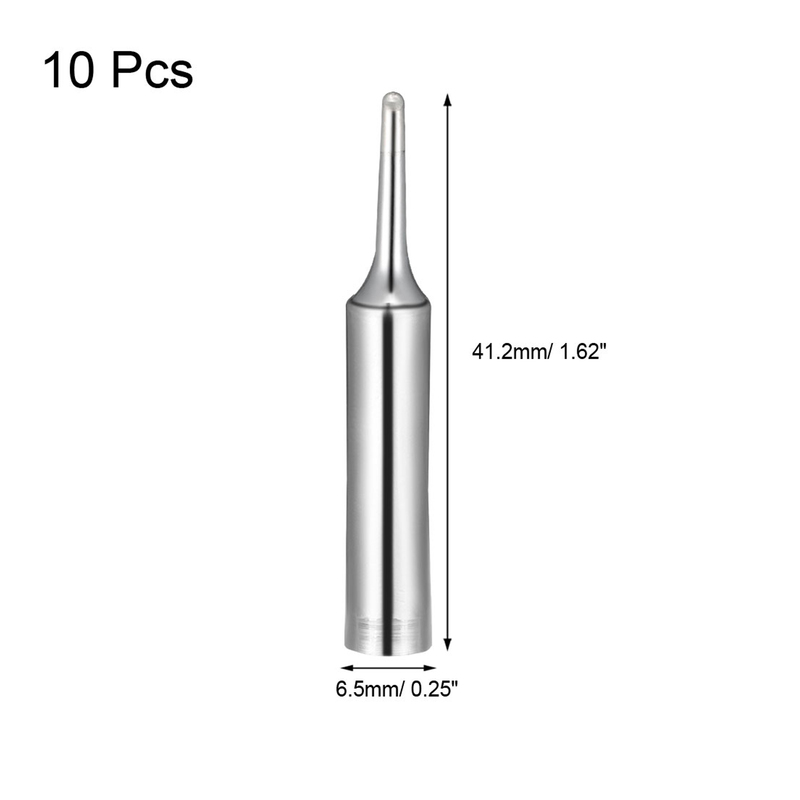 Soldering iron tip has an advantage of long life lasting and not easily oxidated, easy to install and use, a great replacement tool for standard soldering iron. 1. Operate at the lowest possible temperature (800 Fahrenheit/427 degrees Celsius) or lower. Operating at which is one of the major causes of detinning. 2. For tip wiping: Use only (sulfur-free) pure cellulose sponges, wet to the touch. 3. Add rosin core solder of adequate diameter to the working end of the tip regularly.